The Madhya Pradesh cabinet this week approved a 750 megawatt (MW) solar power project at Gurh tehsil in Rewa district, which is to be developed in three phases of 250 MW each. The plant, to be the world’s biggest, will use photovoltaic (PV) technology to generate electricity from the sun. 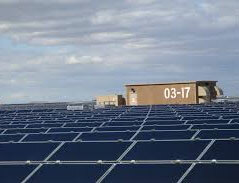 Once it is commissioned, the plant would overtake the Topaz Solar Farm (550 MW) in California’s San Luis Obispo county. The US farm was commissioned in 2014. The solar power plant in Rewa is expected to be completed by March 2017. The project cost has been estimated around Rs 4,500 crore. The cost of electricity generation has been calculated to be as low as Rs 5.50 per unit of power. Currently, the Central Electricity Regulatory Commission announced the benchmark for levelised tariff (tariff realised over the span of the project) of solar PV for 2015-16 at Rs 6.86 per unit. “The loan for the project would be provided by the World Bank,”spokesperson of Madhya Pradesh government, Narottam Mishra, told mediapersons. The state’s new and renewable energy department will provide land for the project. The Madhya Pradesh government is also on the lookout for private land. The Power Grid Corporation of India Limited will construct the grid connections and transmission lines of the solar plant. Once it is commissioned, Jabalpur-based Madhya Pradesh Power Management Company Limited will buy 40 per cent of power. The project is being set up under the scheme for development of solar parks and ultra mega solar power projects. The PV modules for the plant would be sourced from the domestic market. However, it is not mandatory to source PV modules from the domestic market. The solar project in Rewa would be one of the first of the 25 solar parks planned in the country. There is a proposal to set up another 750 MW plant in Rewa. For example, a typical parabolic trough plant with wet cooling uses approximately 800 gallons/MWh, comprised of 780 gallons for evaporation and water make-up and 20 gallons for mirror washing. Change to dry cooling Ã”Ã‡Ã´ at the expense of increased capital costs and decreased efficiency Ã”Ã‡Ã´ and a facility still requires approximately 80 gallons/MWh for make-up and mirror washing. For a 100 MW facility operating 14 hours per day (i.e. producing 1,400 MWh per day), thatÃ”Ã‡Ã–s over one million gallons of water per day; change to dry cooling and that 100 MW facility still consumes more than 100,000 gallons of water per day. It is good that PV is chosen for the project. On the other hand Madhya Pradesh though started early is rather slow in harnessing Wind Energy. Gross Wind Potential of Madhya Pradesh: 5500 MW while the installed Wind capacity at the end of March 2014 stood at 439 MW .Estimation of Wind Power Potential at 50 meter and 80 Meter hub-height: 920 Mw and 2931 MW. Today MW size Wind Turbines are available in the country. A wind turbine can be installed in a month. Moreover the efficiency of Wind compared to Solar PV is almost double. It is hoped Madhya Pradesh Government promotes Wind Energy on a massive scale.